The deal reached by the UK government and the European Commission published on 14 November 2018 includes provisions to ensure continued protection in the UK of EU-wide intellectual property rights at the end of the transition period, but does not mention the future of the UK’s membership in the Unitary Patent Court. Approval of the deal by the UK Parliament is by no means certain and a no-deal Brexit scenario cannot yet be ruled out. On 14 November 2018 the European Commission and the United Kingdom reached, and published, an agreement on the terms of withdrawal of the UK from the EU. The agreement’s Title IV concerns Intellectual Property. Many of its main points were already included in the UK government’s guidance documents on intellectual property rights in the event of a no-deal Brexit, published between 24 September and 12 October 2018. The deal published on 14 November 2018 essentially includes the following provisions concerning intellectual property rights. 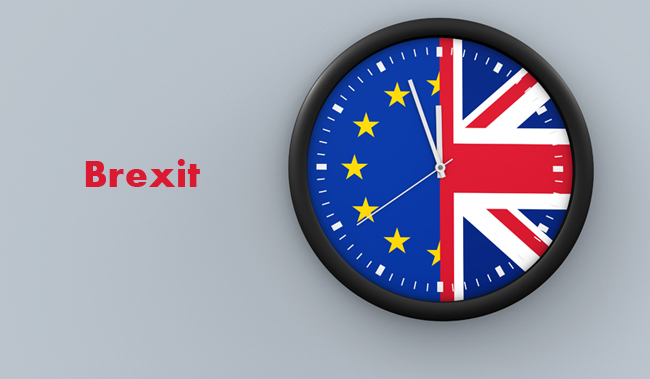 From 29 March 2019 (the date of the UK’s withdrawal) to 31 December 2020 a transition period will be in force, during which the UK will remain subject to EU policies and to the Court of Justice of the European Union. Holders of EU trademarks registered before the end of the transition period shall become holders of comparable registered and enforceable trademark rights in the UK for the same sign and the same goods or services, with no re-examination and no cost involved. Holders of applications for EU trademark registrations which have been given a filing date before the end of the transition period will have the right to file, within 9 months from the end of the transition period, an application for a national trademark registration that will be given the same filing date and priority date as the original EU application. Holders of Community designs registered before the end of the transition period shall become holders of comparable registered design rights in the UK for the same design, with no re-examination and no cost involved. Holders of applications for Community design registrations which have been given a filing date before the end of the transition period will have the right to file, within 9 months from the end of the transition period, an application for a national design registration that will be given the same filing date and priority date as the original Community application. Holders of unregistered Community design rights which arose before the end of the transition period will become holders of an enforceable unregistered design right in the UK with the same level of protection provided for by EU laws. The term of protection will be at least equal to the remaining period of validity of the unregistered Community design. The UK will ensure that trademark or design registrations valid in the UK which were obtained by designating the EU through the Madrid or Hague international systems will continue to be protected in the UK. Holders of Community plant variety rights granted before the end of the transition period shall become holders of plant variety rights in the UK for the same variety, with no re-examination and no cost involved. Holders of applications for Community plant variety right registrations which has have been given a filing date before the end of the transition period will have the right to file, within 6 months from the end of the transition period, an application for a national plant variety right registration that will be given the same filing date and priority date as the original Community application. If a EU trademark or a Community design are declared invalid or revoked, or a Community plant variety right is declared null and void or cancelled as a result of an administrative or judicial procedure which was ongoing on the last day of the transition period, the corresponding right in the UK shall be declared invalid, revoked etc. with effect on the same date as the effect of the declaration of invalidity, revocation etc. in the EU. Relevant EU law will continue to apply to applications for supplementary protection certificates for medicinal products and plant protection products submitted to a UK authority that are still pending at the end of the transition period. The SPCs granted pursuant to such applications will enjoy the same level of protection in the UK law as under EU law. Holders of UK rights deriving from the “conversion” of EU trademarks, Community designs and Community plant variety rights shall not be required to have a correspondence address in the UK in the three years following the end of the transition period. Those who are entitled to use a geographical indication, designation of origin, traditional speciality or the traditional term for wine protected in under EU laws on the last day of the transition period will continue to be entitled to use them in the UK after the end of the transition period, and enjoy at least the same level of protection under UK law. Intellectual property rights which were exhausted under EU law in the EU and in the UK before the end of the transition period will remain exhausted in the EU and the UK. The protection granted in the UK under Directive 96/9/EC to database rights which arose before the end of the transition period will continue be granted to that database under UK law, provided that the right-holder is a UK national or resident, or an undertaking established in the UK – upon condition that if only registered offices are in the UK, the undertaking’s activities must be actually linked to the UK or to another EU member state. What about the Unitary Patent Court (UPC)? No mention of the unitary patent or Unitary Patent Court is made in the agreement on terms of withdrawal published on 14 November 2018; however on the same day The Law Society Gazette reported on statements made on the UPC by the UK Intellectual Property Minister Sam Gyimah. The minister, while answering questions on intellectual property rights after Brexit before the House of Lords’ EU Justice Sub-Committee, insisted that the UK government has sufficient will to ensure the UK can remain part of the Unified Patent Court post Brexit. Mr Gyimah did not explain in detail how the UK government will be able to get around the provisions of the Unified Patent Court Agreement (which the UK has ratified) which require member states of the court to be members of the EU, and application of the agreement to be subject to the control of the Court of Justice of the European Union.